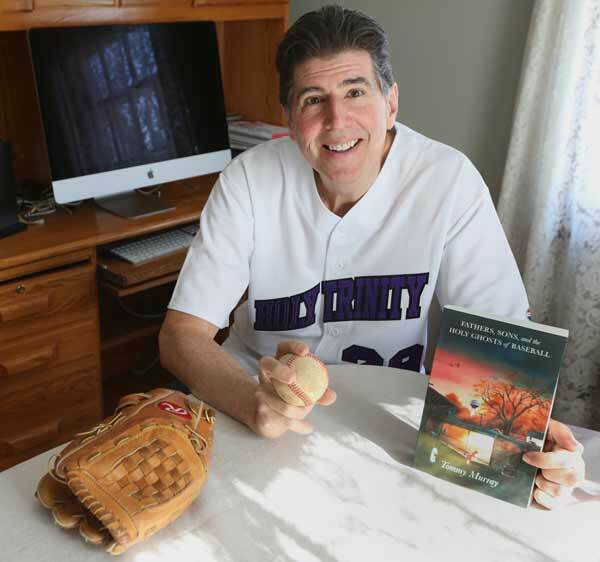 MINNEAPOLIS (CNS) — Tom Murray’s novel about fathers, sons and baseball in rural Iowa is a product of failure. Its seed was planted after he made a big mistake during the football season in his junior year at Notre Dame High School in Burlington, Iowa. Murray, 61, recalled the time when he was summoned off the bench to play defense during a game against West Burlington High School. The coach asked him to do one simple thing: run three steps forward from the line of scrimmage into the opponent’s backfield after the ball was hiked, and stand there. Murray did so, but chased the quarterback when he ran away from him. That put him out of position when the quarterback handed off to a wide receiver running the opposite way on a reverse. Murray was caught off guard and was not ready to make the tackle. He was 17 at the time and sat on the bench for the rest of the season. He watched teammates looking over their shoulders at their fathers in the stands who seemed to Murray to be “living vicariously through their sons on the football field.” By the end of the season, he knew he wanted to write a novel. He began writing when he started teaching in the Minneapolis school district after graduating from the University of St. Thomas in 1978. He set his novel in Bancroft, a town in northwest Iowa that he calls Cottage Park in the book. “Fathers, Sons and the Holy Ghosts of Baseball” was published in 2017 by Beaver’s Pond Press in Edina, Minnesota. It can be purchased at www.amazon.com and www.barnesandnoble.com. Murray finished his original manuscript in the late 1980s and sent it to Catholic writer J.F. Powers, who replied harshly. “He basically read the first 50 pages and said, ‘This is very bad. … Life is too short. I can’t continue reading. Why do you punish the reader and, more importantly, why do you punish yourself?’” Murray said. A devastated Murray put the manuscript in a box on a shelf and didn’t touch it for 25 years. “I would have to say it was one of the low points of my life,” he said. In 2014, his father’s health began to decline and Murray decided to make some revisions and print a copy for his father. When he couldn’t finish it before his father’s death two years later, he decided to print a copy for each of his four children. An unexpected inheritance that could cover printing expenses inspired him to print 250. Then a Catholic friend, Minneapolis City Council member Blong Yang, read it and asked for 200 copies. “Then I had to do a second edition of 750 books, and I was off to the races,” Murray said. Another print run of 1,000 copies followed, and Murray now does readings at bookstores, radio interviews and TV appearances. Central characters are three grumpy old men who are always on the field chiding the boys in uniform. He named one of these characters, a catcher, “Powers” – out of gratitude, he said. He now has a different view of the criticism the author leveled against his book. “It wasn’t until many, many years later that I recognized that his criticism was right on,” Murray said. Murray hopes that readers will use the book to reflect on their own lives. “The biggest reason why I want people to read this story is it forces you to consider your own legacy,” he said.